Spotify provides more than 30 million tracks and it is a great place to discover new music when you do not know what you should listen to or where to find some new music. Yes, it is so boring to listen to the old playlists you added before. You need to discover something new to fresh yourself. 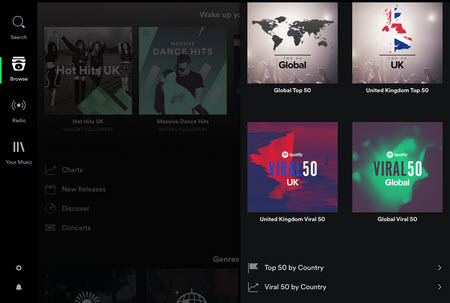 Here we list all the best ways to discover new and awesome music with Spotify. 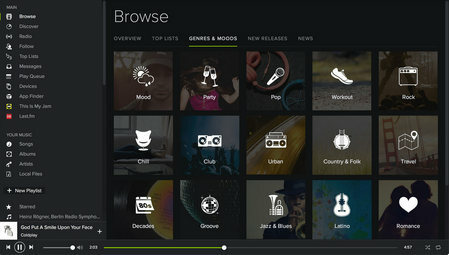 When you launch Spotify, you will see a little tab on the top left corner called Browse. This is the first place you should approach to start your new music collecting journey. This is a place in which Spotify will offer everything it has. If you have no idea about what you should look for, just open this area to start discovery. It is divided into 5 parts (Overview, Charts, Genres & Moods, New Releases, Discover, Concerts) which provide unique way to offer massive libraries. Charts: Spotify provides the Top 50 and Viral 50 songs for the countries where Spotify is available. You can view this chart to find new music you may love. Genres & Moods: You can choose different categories here, like Pop, EDM, Hip Hop, Country, etc. Each of them contains dozens of playlists. New Releases: Spotify updates its library every day. It is organized by albums or singers. You can click the albums or singers which attack you to find new music. 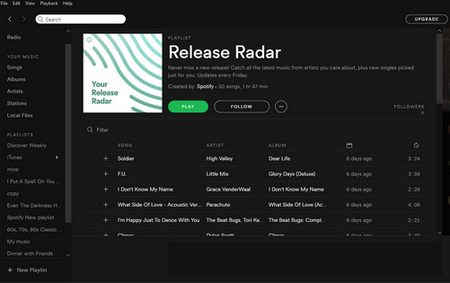 Spotify also launched New Music Friday and Release Radar in August of this year, another 2-hour algorithmically personalized playlist that features newly released songs from artists each user already listens to, but updated on each Friday. Discover: This page is specifically directed at your listening habits. You can find recommendations and suggestions that might meet your tastes. Discover Weekly refreshes playlists on each Monday. It is a playlist contains 30 tracks recommended in accordance with music preferences and popularity, but also explores some less popular music. 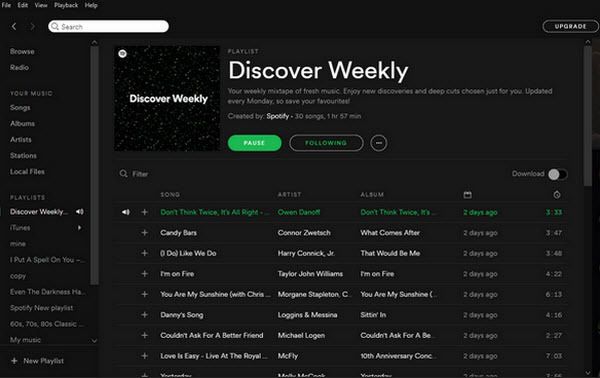 Discover Weekly will know more about your tastes and preferences if you use Spotify frequently. It means that the more music you listen to, the more new music will be recommended and discovered. Indeed, Discover Weekly is a great way to discovery new music. You will like most of the recommended music and add them to your own playlist. Users also can discover new music by listening the hottest sons on radio. You can find different genres radio, artist radio and songs radio here. If you want to start a genre station, click on Radio on the top left and scroll to the bottom of that page. Here you’ll find over 25 different genres, including Blues, Funk, Reggae, and Soul. 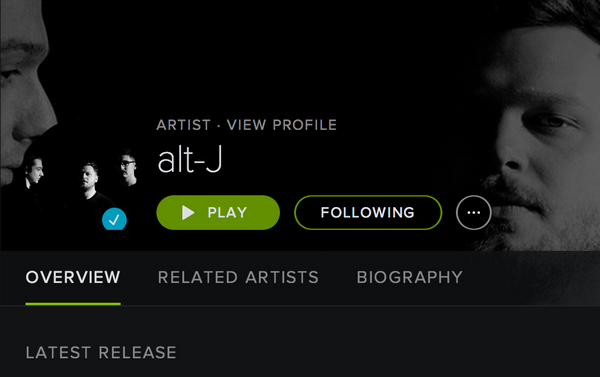 You can take full advantage of the social feature to discover new music on Spotify. Browse Your Friendsʻs Playlist: You can link up with your friends on Spotify and view their playlists they have made available. Then click the “Follow” button to subscribe a playlist you like. Related Artists or Follow Artists: You can follow your favorite artists or users on this page. Once you follow them, you will be able to see all the songs they shared. And you can find related artists on this page, but most of time these related artists are within the same genre and have a similar sound. If you like, you also can connect Spotify with Facebook, if you have many friends who are active on Spotify and like sharing. You probably want to convert your favorite Spotify tracks or playlists to MP3, so that you can enjoy them on any other portable devices or keep them after canceling subscription. 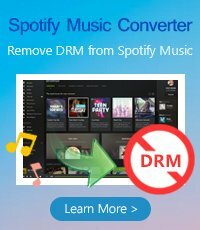 Here Spotify Music Converter (For Windows | For Mac) will help you rip the DRM protection from Spotify music and convert them to popular formats like MP3, WAV, AAC.